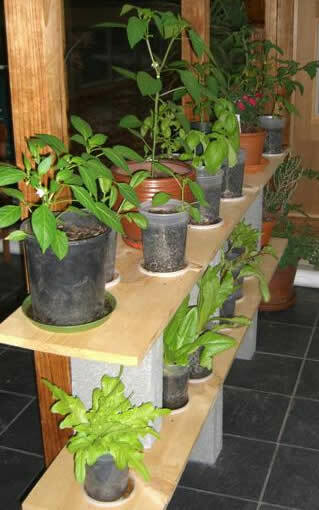 A great many vegetables can be grown indoors in small containers. Some are more difficult to grow, but choosing a variety that is better suited to a container optimizes the chances of a successful harvest. 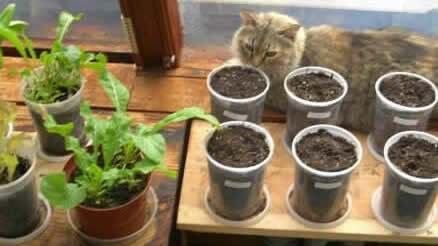 For example, if you want to grow tomatoes, you should choose a "determinant" variety. 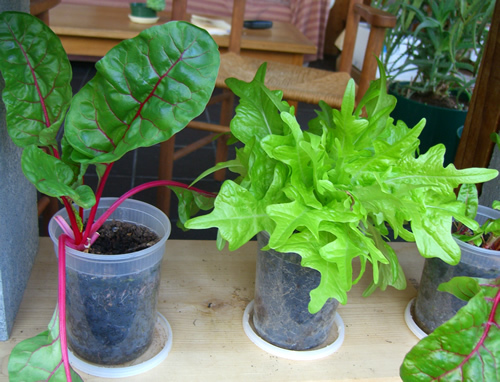 The pictures below are some of the plants that we grew last winter. 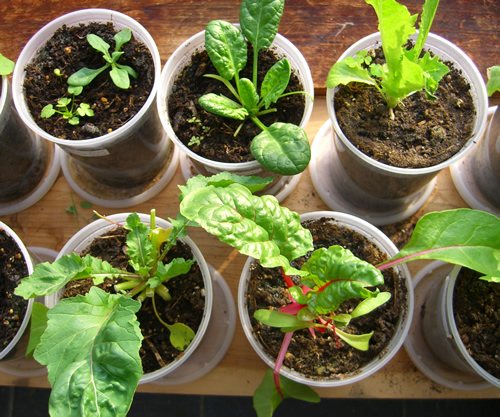 Lettuce can be grown successfully with less than two hours a day of full sunlight, in many types of containers. Do not be put off that you do not have large, south-facing windows. Read on.